Oh no we don’t we have a vintage lover! History and a love of old things usually go hand in hand – especially as we start looking for the story behind the items we collect. So it’s not surprising that a woman with a love of space history also loves mid century modern. 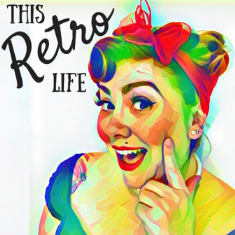 This week, it’s my pleasure to introduce you to the woman behind Vintage Space Amy Shira Teitel.